Volkswagen is introducing a host of new models in the next year. The Atlas SUV and Arteon luxo-sedan are set to bring about a new feel for the manufacturer, showing their fun-side while also introducing a higher scale of comfort. 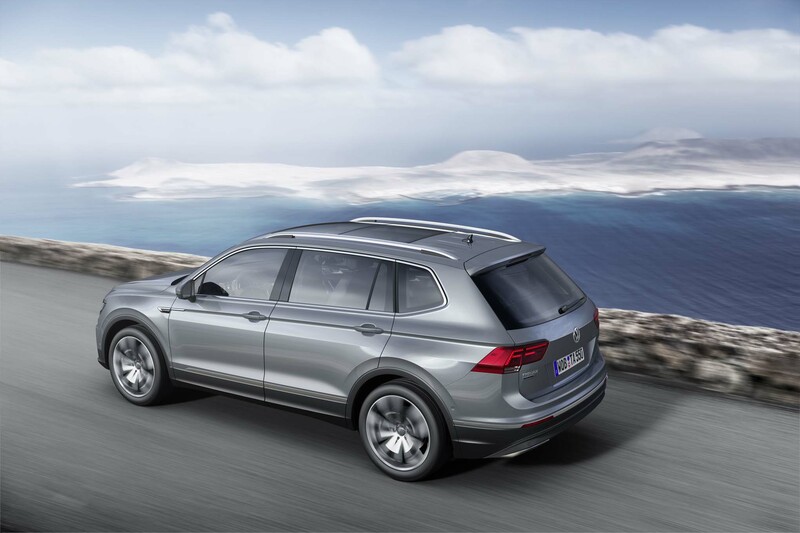 With new beginnings on the brain, VW has also debuted the Tiguan Allspace for the European market. It features a longer wheelbase and three TDI engine choices, but the question is, will it come to the States? First off, it's unlikely that we will receive the diesel variants. In Europe, the most capable models will receive a TDI powerplant that makes 369 lb. ft. of torque in Passat trim, meaning that the Allspace has a lot of twist. Less powerful applications include engines that produce 148 HP and 187 HP, respectively. With that being said, the Euro Allspace does offer three turbo gasoline engines as well. These will almost certainly be the options we get in America, avoiding any problems with emissions. They produce 148 HP, 178 HP, and a range topping 217 HP, making for an exceptional output out of the small turbo fours. We're familiar with these TSI engines in the States, so we wouldn't be surprised if they were the staple of the Tiguan Allspace lineup. 4Motion all wheel drive, of course, will be optional. And as for size, it's recognizably larger. The wheelbase 4.4 inches longer than the standard model while total length is increased by 10.7 inches. This gives the Allspace a sturdier construction while offering more interior room, upsizing the Tiguan's comfort and cargo capacity. It can haul, too. In Europe, the top-of-the-line Allspace has a towing capacity of 5,500 pounds. That's a pretty big number for the class, beating out the smaller Ford Escape and Honda HR-V. You'll be able to carry around all the camping equipment you want with this one, making it a total package for adventurists (or suburbia). Expect to see more from VW at the Geneva Auto Show later on this week. 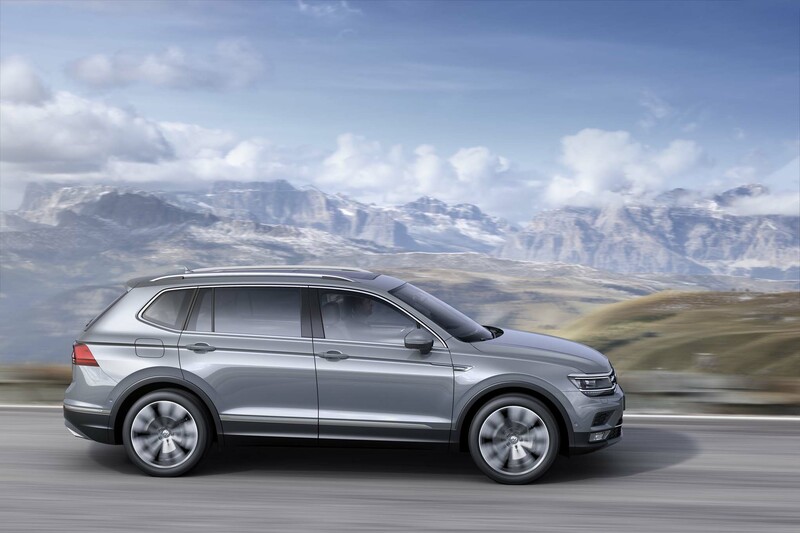 There, we'll see more details regarding the Tiguan Allspace, and maybe get a hint on its status in the United States.